Is your home on a steep slope? Do you find it nearly impossible to landscape your yard because of your incline or decline? Well, Hicks Landscape wants to solve your landscaping problems once and for all with a new retaining wall. A retaining wall is a cliff-like structure designed to combat the lateral gravitational pressure of angled soil. To support a substantial change in elevation, a retaining wall will keep the soil level to allow for terrain modification, regulate excess water runoff and prevent widespread erosion and soil loss. A retaining wall will also add distinct elegance to your home’s landscape. Typically consisting of small stone or brick components, a retaining wall can improve the overall functionality and aesthetics of your yard. How do I know if I need a retaining wall? Usually homes on steep inclines or declines experience substantial water runoff and soil displacement. This can cause issues for your home’s foundation and certainly the appeal of your yard. A retaining wall can minimize these effects and reign in any shifting terrain and water build-up. A retaining wall is also a perfect way to elevate stone gardens and flower beds to increase their visibility and manageability. If built correctly, your retaining wall will add an impressive terrace effect, making it the highlight of your landscape. Improve your yard with Hicks Landscape! If you seek to improve the soil and water distribution of your yard, while adding a unique, rustic feel to your landscape, a retaining wall is perfect choice. So don’t hesitate to boost your exterior’s functionality and curb appeal. 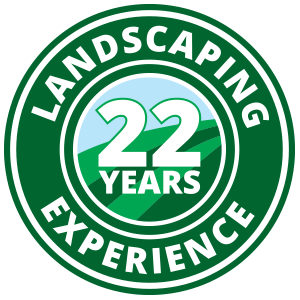 Contact Hicks Landscape today to schedule your free consultation, and let the transformation begin!